The Washington Post ran a great article a few weeks back on Concussion Rates in Female Athletes. Spoiler alert: women/girls suffer a higher rate of concussions than their male counterparts. The main push of the article is the need for a greater awareness. The NFL concussion hooplah brought concussions in sports, particularly football, to the forefront and calls for better equipment and stricter safety standards. Unfortunately, the laser-focus on football has yet to encompass other sports such as lacrosse, soccer, rugby, and cheerleading. The Journal of Athletic Training found in a study that looked at 15 NCAA sports across 16 years. The majority of the injuries reported were ankle related (which is not surprising) but the second highest were concussions- particularly in women. This Table is a great snap shot of concussion rates in NCAA sports. Take note that in all the sports that involve both genders, the women have higher incidences of concussions!! If these rates are pretty high in NCAA athletes- who are arguably stronger and more skilled than the younger teenage athletes- imagine what the concussion rate is amongst our middle- and high school athletes! The greatest attention has been directed to their head and neck size and musculature; researchers speculate that girls have smaller, weaker necks than boys, making their heads more susceptible to trauma. Being weaker stinks, doesn't it? (They blame our higher rate of ACL tears on this too.) Now, naturally we don't have as much of that awesome muscle-building hormone testosterone nor are we encouraged to be strong. This is a risk factor we can reduce dramatically. Doesn't it seem obvious that providing strength training opportunities for females, both for school and club sports, would be a no-brainer (no pun intended)? We can't help it if we're smaller but wecancounteract it if we're stronger. As coaches, we need to be aware of this information and freakin' do something about it. 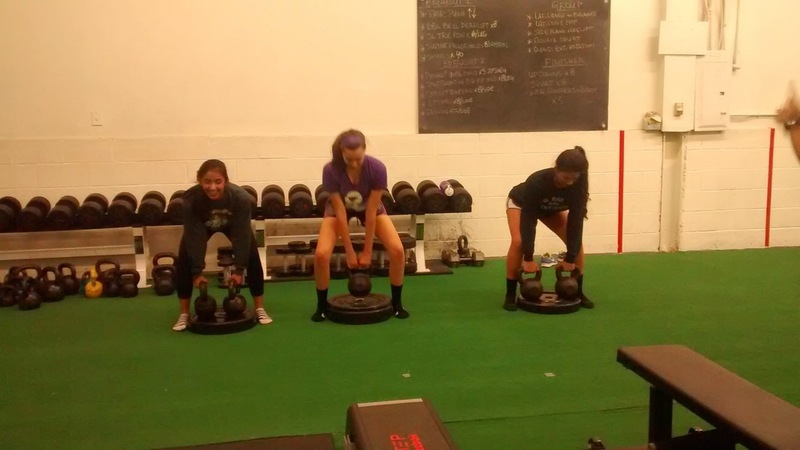 If your athletes aren't strength training, they're only getting weaker as the season progresses. This increases their risk of sustaining an injury and increases their recovery time. If you don't have access to a facility, ask us- we can help!! We can come to you. We also have a distance training option: we can send you the programs to incorporate with your teams. Our passion is to make athletes stronger and prevent injuries such as concussions. For example, a while back I wrote up two training circuits for one of my volleyball players who had two concussions in a row. Note: A "chin tuck" is pulling the neck into a neutral position by pulling the chin back as if you're making a surprise face. * As neck is strength improves, increase ISO hold to :05, then :10. Incorporating drills such as this, even if it's only in the warm-ups, would go a long way to strengthening necks. Also, Jarrett wrote a great article on concussion prevention techniques that are more generalized. Bottom line: GET. STRONGER. Strong people are harder to kill and are more useful in general. And seriously, ask us, we can help.